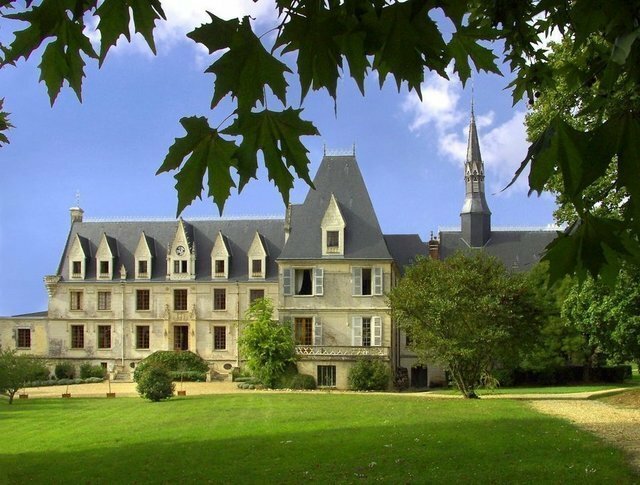 Built on the ruins of an old fortress which was built to protect the passage of the Indre, the current castle that we propose to you is the living witness of several centuries of architecture. In 2002, the new owner of the site undertakes restoration work that will adapt the house to the standards of a four-star hotel, with the desire to respect the "spirit of place" of a historic home. The property is the perfect place to create private events, seminars, high-end events, or for a VIP welcome. The ground floor will be able to seduce you by the real pleasure to circulate there, from its entrance, to a first voluminous living room which invites you without restraint to take advantage of its very pleasant framework. The walk will take you from room to room to the mezzanine of the chapel at the end of the castle wing. The most remarkable ... The colors full of modernity used for each of the pieces you will visit, blend perfectly with the historical decor of this property and open the doors to a more modern style without harming its aesthetics. A monumental central stone staircase and an elevator lead to the first floor. It consists of 2 suites with their living rooms and 5 bedrooms. The second floor, also accessible by stairs and elevator, distributes a suite of 40m ² and three bedrooms. All these suites and rooms have retained all their historical heritage, and they are perfectly decorated, furnished and in remarkable condition. A complete apartment, consisting of a large living room, a small living room, a bedroom, a kitchen, a bathroom and toilet completes this floor. Each suite and rooms of the castle have their very beautiful bathroom with sink, bath, walk-in shower for some and separate toilet. The garden level hosts the vaulted guardroom of the XVth century, which become a vast room of reception to accommodate weddings, seminars or other events.